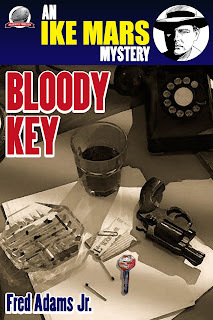 Airship 27 Productions is thrilled to announce the release of a new Fred Adams Jr. Mystery here in “Ike Mars – Bloody.” Pittsburg private eye Ike Mars was struck by lightning twice. Now he can change his face to look like anybody else. An enviable talent for any investigator. When a small time hood dies in Mars’ arms, after having been shot, he leaves the Mars with a small, key covered in blood. The street-smart shamus safely assumes the man was killed by people after that key. So, the question is why is it so important as to be worth a man’s life? What mystery does it unlock and how much danger is Mars in now that he possesses it? 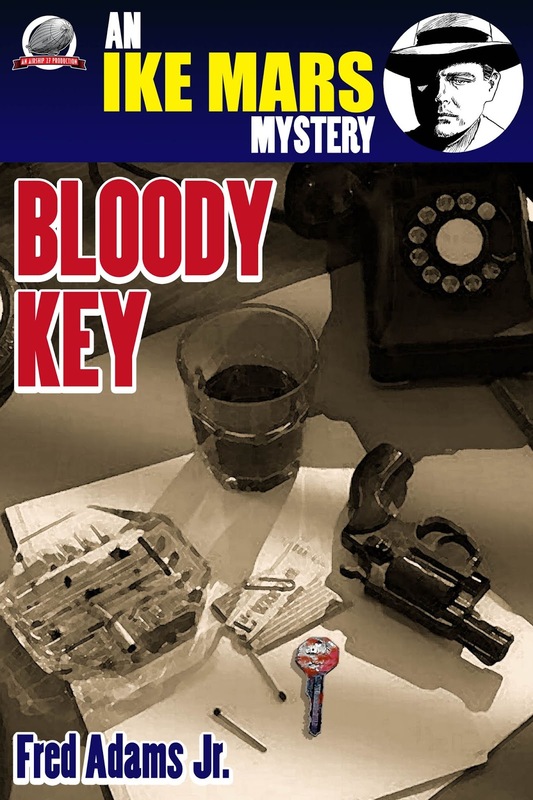 Once again, pulp scribe Fred Adams, Jr. launches another thrilling mystery series with this novel starring one of the most unique characters ever to walk the midnight streets of crime novels. Artist James McFarland handles the interior illustrations and Rob Davis the cover. This is new pulp fiction at its finest.